The American division of MAXAM ammunition, which we know as RIO, is in Marshall, Texas. Much like the place its factory is located (Texas), RIO ammo is tough, held to extremely high standards, and is always innovating. 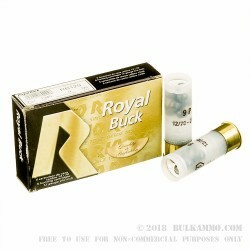 The RIO shot shells are 2-3/4" overall length (after they have been fired), loaded with 9 (nine) 00-Buck Shot pellets, and medium brass shotshells. Their shells are loaded with high quality powder, 12 gauge shot shell primers, and have clear-white hulls that you can see the load through. They have a muzzle velocity of 1345-feet per second and are suitable for hunting medium sized game like boars and some types of deer. 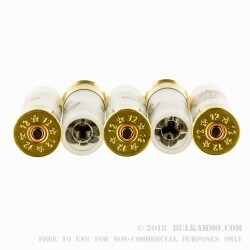 These come in a package of 5 so they are the perfect solution to testing out a new shotgun or double barrel with just a couple shells. 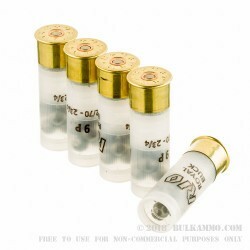 They are also great for stocking up on if you prefer to have multiple 12-gauge Buckshot shells in your armory. Get yours today. 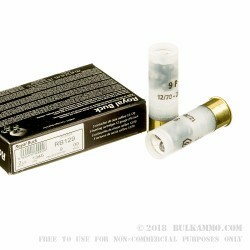 Since 1896 Rio has been producing top of the line shot shells in a variety of sizes and gauges. Rio ammo is a big name in the shotgun shell industry all over Europe and was widely unknown in the United States until 2002. When the Rio ammo finally reached American hands and they began to use the shells, the reactions were immediate and positive. American shooters have used European ammunition before, and most of us still do. Rio shot shells have proven their quality in the U.S. market, and since then, they have remained a favorite among shotgunners across the United States. Good round, but concerned about quality control. Q: What country Rio Royal manufactured in? A: Rio Royal shotgun ammunition has been manufactured in Spain since 1896.